​The Sea of Okhotsk phenomena known as drift ice (ryuhyo in Japanese) is the southernmost place on earth where drift ice is observable. On especially dramatic years, the meters-thick drift ice crunches and crackles underfoot for kilometers out to sea. You will feel as if you've been transported to the Ice Age, where the frozen earth dominates the landscape in every direction. Rausu is another great port town with drift ice ferries, with the added bonus of wildlife spotting for Steller's Sea Eagles. To gain a deeper understanding of the drift ice phenomena, you can also visit the Okhotsk Ryuhyo Museum in Abashiri. The drift ice floes fluctuate from late-January to early-March, and are one of the primary reasons for visiting Eastern Hokkaido in mid-winter. 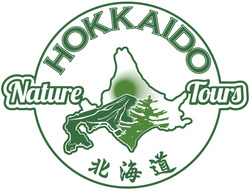 ​Shakotan boat excursions are a special way to see the famed coastline limestone formations. The 2 hour cruises on a local fishing boat depart from Otaru Port and can be combined with fishing outings in the Sea of Japan. Along with sightseeing in Otaru and visiting the nearby Nikka Whiskey distillery, the Shakotan boat excursion can be a memorable experience any time of year.